The places below range from specific locations to ideal journeys and span everywhere from the northern hill region to the southern coastal region. All of these options are relatively accessible and in close proximity, and several are right next to the big four destinations. Additionally, many of these destinations contain special religious importance. This is important for understanding Myanmar's devoutly Buddhist identity, since the spectacle of more conventional locations may detract from this. If you're a serious traveler that wants to uncover all Myanmar has to offer, you're bound to find something fascinating to discover in one of these experiences. From Yangon, most travelers head north to Bagan, Mandalay and Inle Lake so it is easy to see what Hpa An remains largely undiscovered. This picturesque town lies five hours southeast of Yangon but feels worlds away from the hustle and bustle of the big city. The town stretches out along the Thanlyin River and is a quaint mix of markets, temples and residential neighborhoods. Looming in the distance are spectacular limestone karst formations, rising dramatically from the rice paddies and fields. You could easily spend days riding bikes and trekking through the villages and fields, stopping to explore Hpa An’s numerous caves and swim in languid streams. Sadan Cave and Kawkadon Cave are the best to visit, each with unique geographical features. Mount Zwekabin, on the edge of town, presents a challenging five to six-hour trekking route that rewards with stunning views. Hpa An also has a range of accommodation options, from basic guesthouses to fabulous lodge-style resorts. Nestled in the middle of the Shan Hills, just an hour drive from Heho airport, Pindaya is a picturesque agricultural town inhabited by the Danu people. Some tourists stop in to see it’s Buddha-filled caves then continue on to Kalaw for the night but only those who stay longer will truly be able to appreciate Pindaya’s wonders. Pindaya’s morning market is a vibrant mélange of locally-grown produce and many of the shoppers are dressed in colorful traditional dress. The town’s central Botaloke Lake is extremely picturesque as is the lesser-visited Inya Lake which lies to the north. Pindaya is also a great base for trekking, with everything from half-day walks in tea plantations to multi-day treks into the highlands with overnight stops in hill tribe villages. And unlike Kalaw, where most tourists go for trekking, Pindaya’s trails are almost empty and probably the only other person you will see is the occasional farmer or trader. 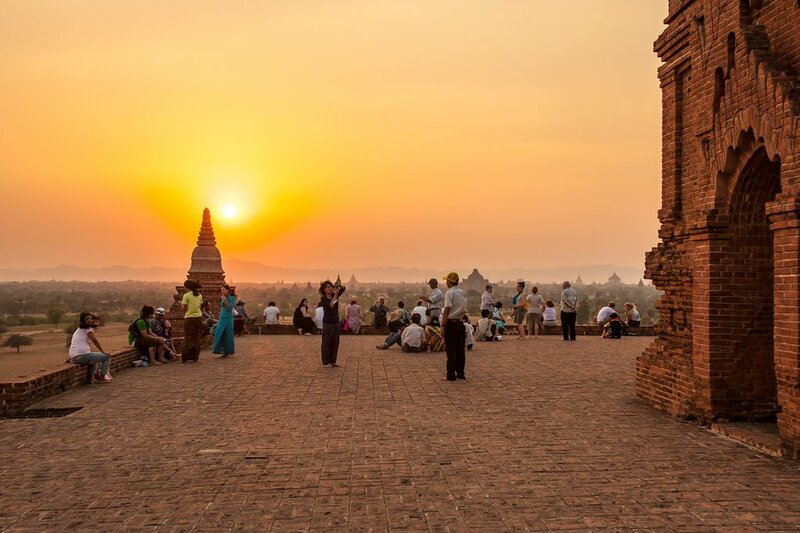 Almost every visitor to Myanmar makes a stop in Bagan to see the temple-filled plains. But few tourists go to Pyay, a sleepy riverside town that is home to the UNESCO-listed Sri Ksetra temple complex. The town is located north of Yangon, around 5-6 hours drive, and is around 5-6 hours south of Bagan, so it makes for an ideal stop on an overland journey. Spend a day winding along dirt tracks and through farmland dotted with monuments from the 3rd to 9th centuries. Then, the next day, venture out on the Irrawaddy River to Akauk Taung. 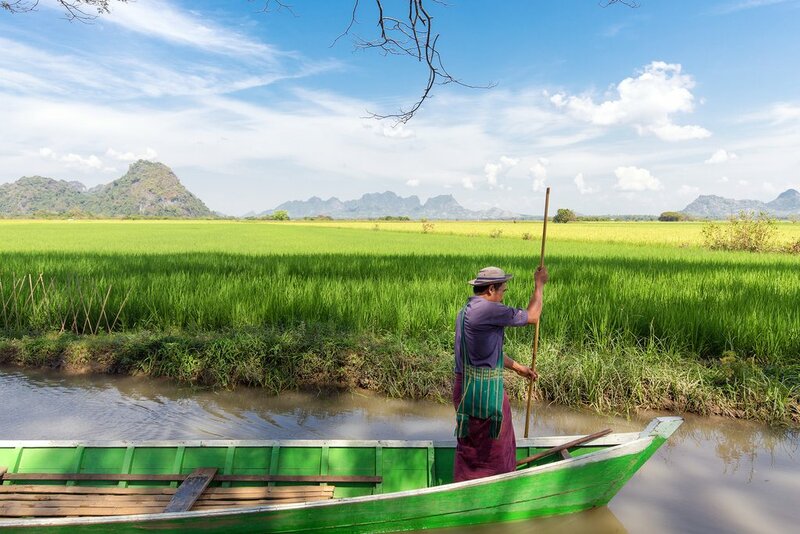 The scenic boat journey passes by small riverside villages and fishing boats, giving you a glimpse of life along Myanmar’s most vital waterway. Then arriving at Akauk Taung, you will be granted impressive views of these unusual cliffs where dozens of Buddha images have been carved. Return to town in time to visit the massive seated Buddha image at Sehtat Gyi Pagoda and to catch the sunset from Shwesandaw Pagoda. Mogok is well known within Myanmar and the region for its gems and mines. In fact, it is often referred to as ‘Ruby Land’. What few people realize, however, is that Mogok is also home to a fascinating mix of ethnic groups and wonderful, scenic trekking routes. The drive takes around 5 hours from Mandalay, rising from the flatlands into the hills. The compact town is home to an interesting gem market, as expected, and lots of quaint noodle and street food stalls. Venturing beyond the commercial center, you can visit working mines, hill tribe villages and trek to spectacular viewpoints for sunset. Although overnight village stays are not permitted, the day return treks get you into rugged, untouched natural areas not yet found in guide books. 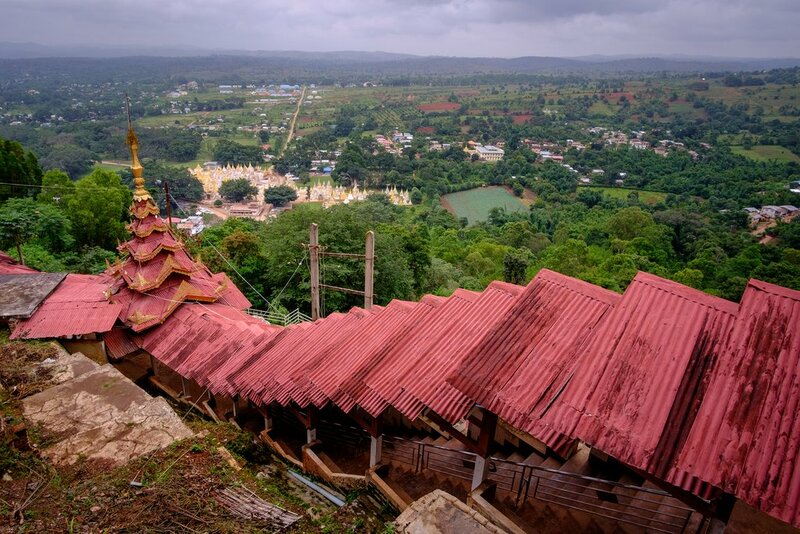 Climb the 777 steps leading up to the Buddhist shrine on the summit of Taung Kalat for a spectacular panoramic view of the Myingyan Plain and surrounding area. 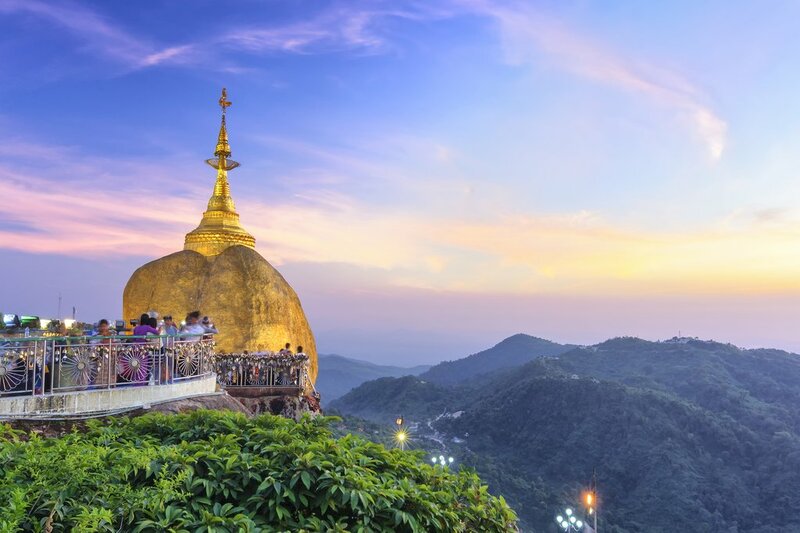 Around the full moons of Nayon (May/June) and Nadaw (November/December), pilgrims flock to Mount Popa for spectacular festival worship. You may also be able to visit the nearby villages, where locals make palm wine and molasses. 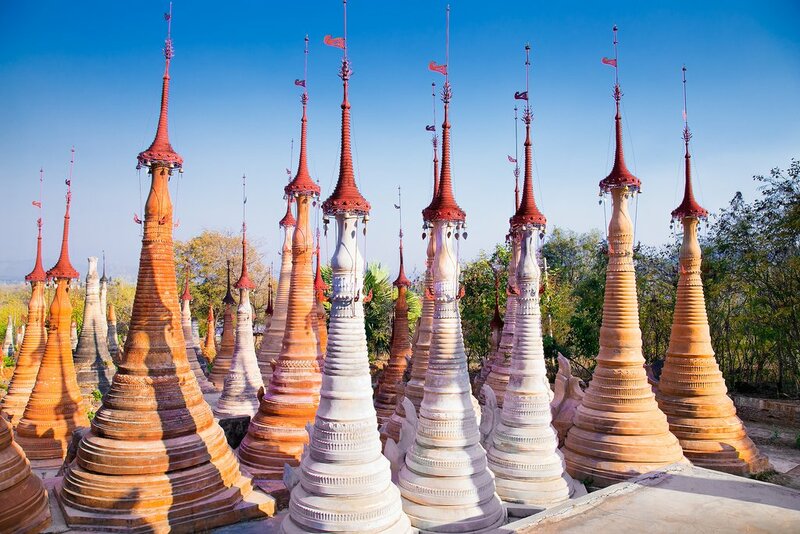 Golden Rock, or Kyaiktiyo Pagoda, must be seen to be believed. Precariously perched on the edge of a cliff and seemingly defying gravity, the massive boulder is completely covered in gold leaf. 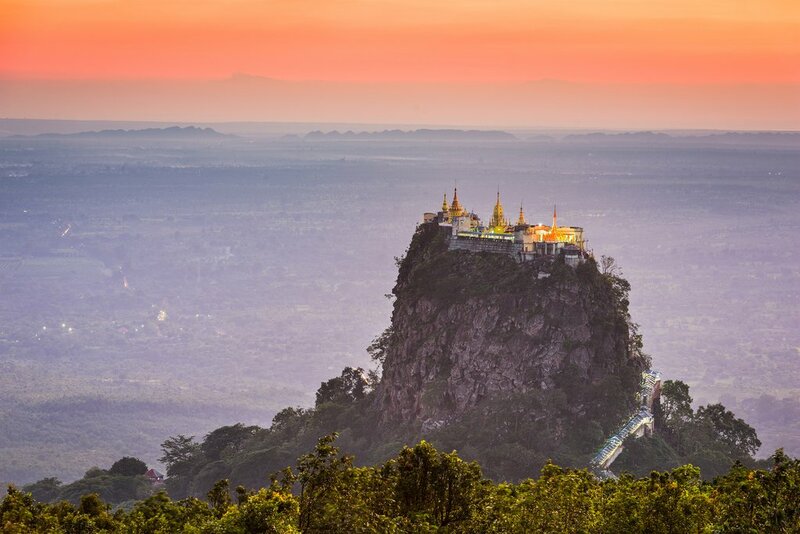 A strand of the Buddha's hair is said to hold the rock in place, making it one of Myanmar's most holy sites. Visit Golden Rock early for the best experience, as the violet light of dawn shines upon its sparkling gold surface. Especially between November and March, devotees and pilgrims make their way to Golden Rock to give offerings and chant prayers. Men cross over a bridge to add gold leaf to the rock. Besides the main rock, the pagoda complex also includes other shrines. Visit Golden Rock early in the morning for the best experience, as the violet light of dawn shines upon its sparkling gold surface. Especially between November and March, devotees and pilgrims make their way to Golden Rock to give offerings and chant prayers. Men cross over a bridge to add gold leaf to the rock. Besides the main rock, the pagoda complex also includes other shrines. 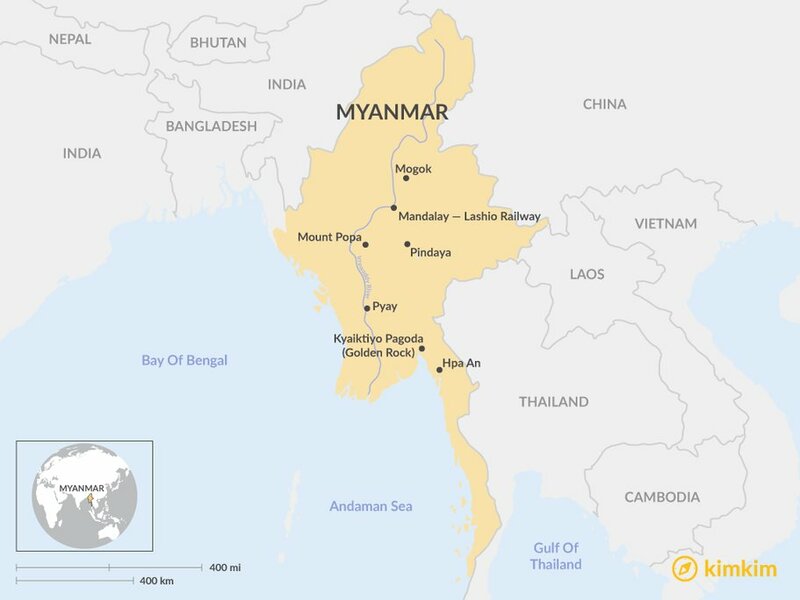 Myanmar has an extensive rail network but due to poor maintenance, the trains are a quite slow and bumpy. The railways do pass through some spectacular landscapes and being on board the trains is a great way to connect with local travelers, so it is worth adding in a short train trip on your Myanmar holiday. The best rail adventure the 4-hour journey from Pyin Oo Lwin to Naung Pain in the north Shan State. Spot local villages, countryside farms, and other impressive views as the train travels north. Then, get ready for the main highlight: crossing the Gokteik Bridge. 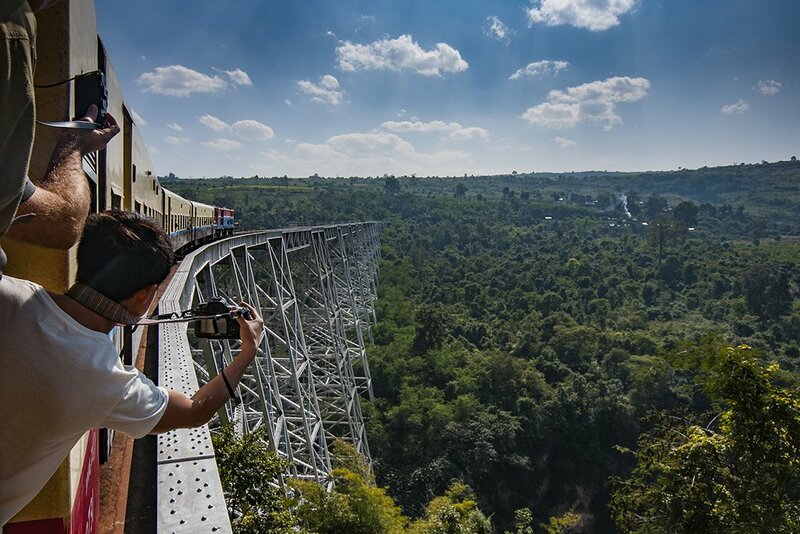 Spanning 2257 ft. above the valley, the bridge is the highest of its kind in Myanmar and was once the largest railway trestle in the world. The journey can then continue by road or rail to Kyauk Me for trekking or you can drive back to Mandalay by road. Our Trip- Myanmar off the beaten track 10 days. If we could give this trip a 10 we would. Anne was a fantastic organizer/planner. She understood what we were looking for and put together an itinerary that suited us immensely. Everything went logistically smooth in terms of timelines, dates, pick ups and bookings. Our guides or drivers were always there greeting us with a big smile wherever the next place be. In terms of the guides themselves they were all locals from the specific region we were traveling in. They were friendly, warm, caring and very knowledgeable. We genuinely enjoyed their company. Myanmar was an amazing country to visit. From the landscape, the people and the experience itself. We definitely would love to explore more there again in future. We would definitely recommend Myanmar, Anne and her team of guides to give you a truly wonderful and real Myanmar experience.